A midwestern manufacturer produces a range of silica proppants. Proppants are solid materials, such as treated sand or ceramic particulate, that typically are used in the hydraulic fracturing process to keep an induced hydraulic fracture open for optimal oil and gas extraction. 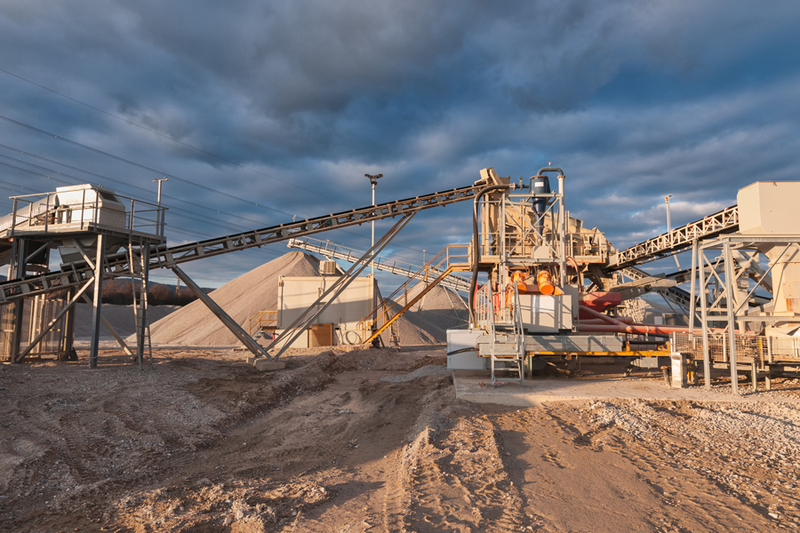 The proppant manufacturer operates the mining facility with a closed-loop water system. This system allows its wash plant to operate without discharging process water into dry runs, local wetlands and nearby creeks. Instead the water and sand are collected in sumps and re-circulated through a filter press to release the moisture from the sand. This fracking sand reclamation process dictated specific requirements for the sump pump. Already using a KZN submersible pump in one of its sumps, the manufacturer contacted BPH Pump & Equipment Inc. to source another KZN pump for a new sump. The pump needed to be resistant to abrasion. The sump was collecting very fine sand, which can wear down the internal components of submersible pumps. The pump needed to reliably transport thick slurry. A simple dewatering pump would not be reliable in this application. The pump must run continuously. The sump pump needs to run continuously while the filter press is operating. Abrasion-resistance: Its 28% chrome iron agitator suspends sand, silt, and mud for efficient transportation. Its high-chrome semi-open impeller handles sand, silt and muddy slurries with concentrations of solids as high as 50% by weight. Its replaceable chrome iron wear plate on the suction side counters the effects of erosion and provides high endurance for abrasive applications. Reliable pumping: The pump offers Class-H motor insulation protection through double silicon carbide mechanical seals housed in a separate oil-filled seal chamber and a heavy-duty lip seal, and has built in amperage and temperature overload protection. Its slim, top-discharge design provides easy installation, pumping of the sump down to within inches of the bottom and motor cooling by the pumped liquid. It also features the Seal Minder moisture detection system with a sensor probe inside the oil chamber to alert users of problems. Continuous operation: It is able to handle abrasive slurries with a stainless steel shaft and shaft sleeve to reduce wear. The pump has hardened ductile iron volutes that, at 300-Brinell hardness, are twice as resistant to abrasives as standard ductile iron and add durability.